Unless you live south of the equator, you know the last several weeks have been COLD. Snowy and cold. The weather across several states closed roads and schools, knocked out power, froze pipes, and is generally responsible for all kinds of responder nightmares. The weather troubles also complicate rescue and response to those with disabilities. About 1 in 5 Americans have some kind of disability. Nearly 1 in 10 of those disabilities is categorized as severe. 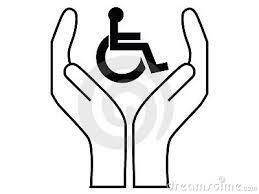 By a rough average, there are 1.1 million disabled people per state, roughly 766,000 of which are severe (1). Not all disabilities are visible, and the population of disabled persons is no longer generally older Americans. Many veterans returning from overseas are disabled, and while it’s anecdotal, it seems the demographic of those with mobility, cognitive, or communication disabilities are getting younger. This issue is dedicated to helping you respond to the population within your community that is disabled. We have articles and resources to assist your preparedness. We include information on responding to children with special needs, the communication disorder aphasia that can complicate a scene, and the RESCUE program that can be implemented in your community. Take a moment in February to review your agency’s preparedness to respond to the disabled population in your community. Review your training program to ensure you include information on communication, cognitive, and mobility disorders. Identify the places in your community, such as any rehabilitation centers or assisted living homes, which may have several persons with disabilities in one rescue area. Finally, consider implementing a program in your community that would alert responders to the need for special rescue needs such as a RESCUE. Let us know if we can help. Always.